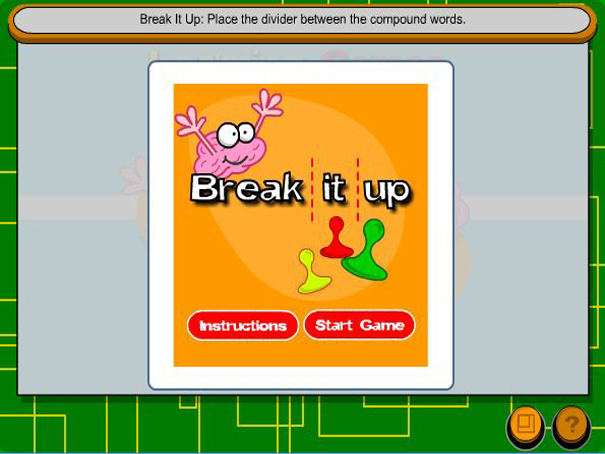 Look at the words and place the divider between the two words to properly break up the syllables. Select 'Check It!' to see if you are right. If not, you can get a Hint and try again. Once you have completed Level 1 carry on to Level 2 and see how far you can get!